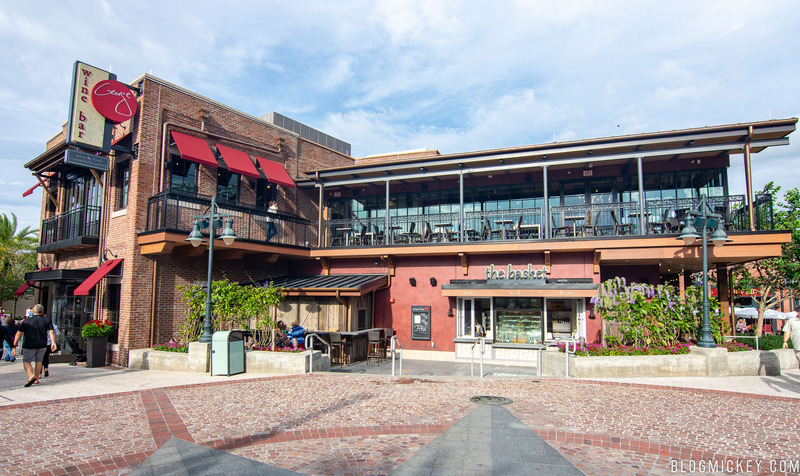 Wine Bar George, the latest in a stellar lineup of dining options at Disney Springs, is now open. 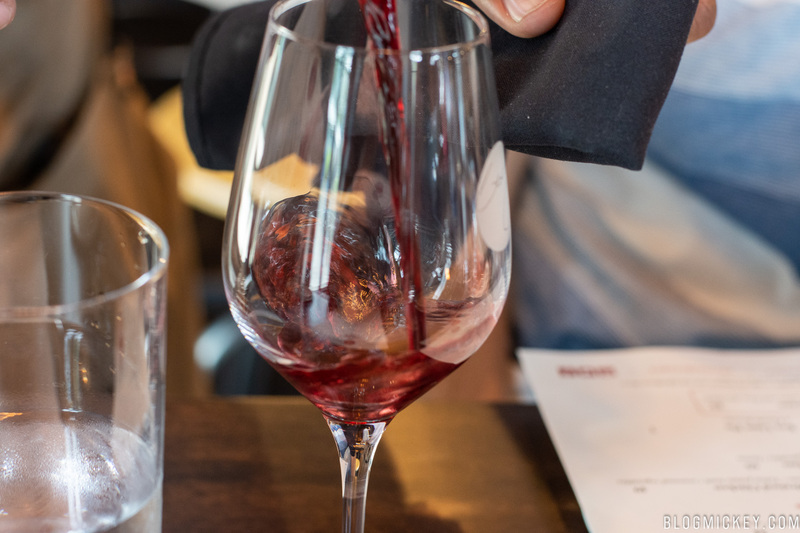 We visited earlier this week to try some of their food and wine offerings to see if the new venue delivered on the promise of “Wine & Food. Masterfully Paired”. 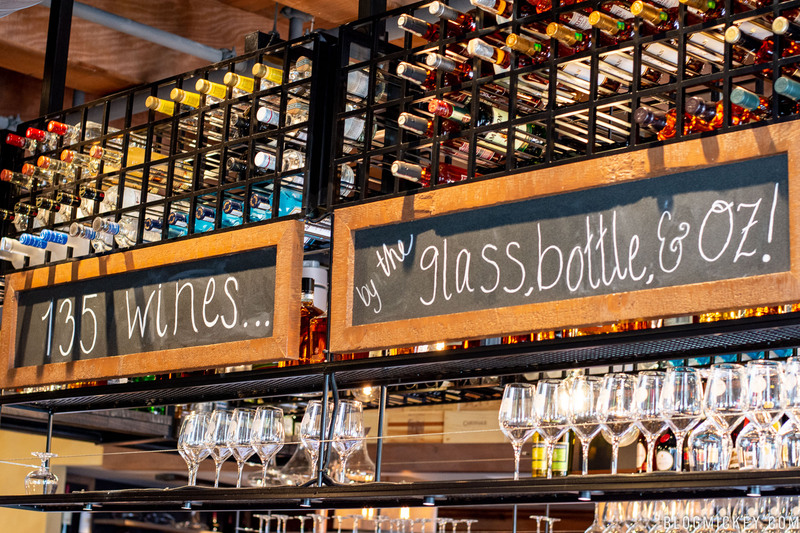 With 135 wines poured by the bottle, glass, and ounce, we’re sure there’s something for everyone. 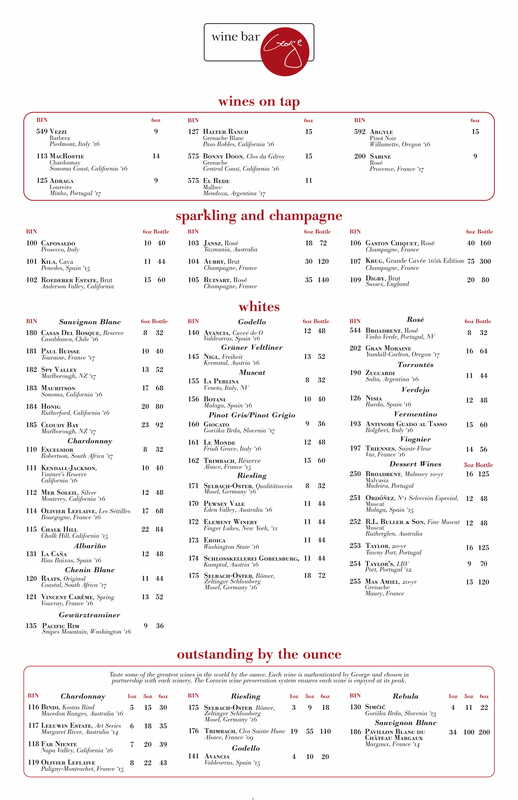 Instead of spending the websites Star Wars Hotel budget on wines, here’s a look at the offerings. 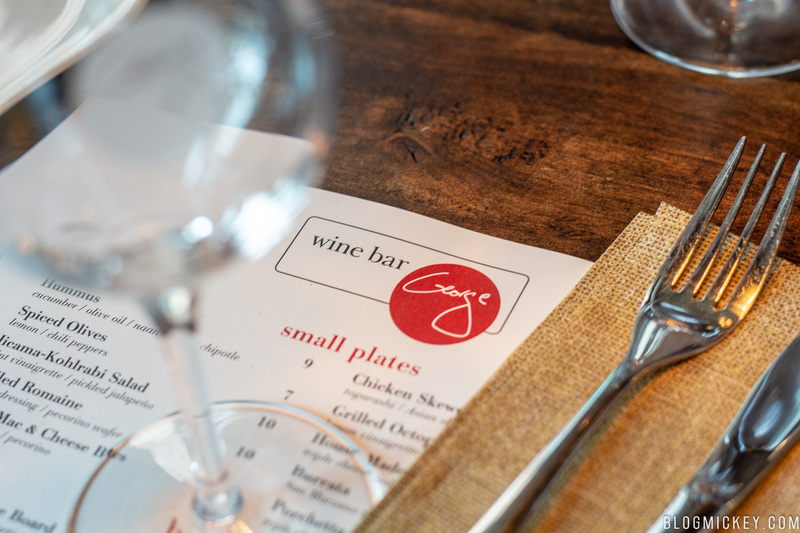 Wine Bar George offers small plates, boards, and family style plates. 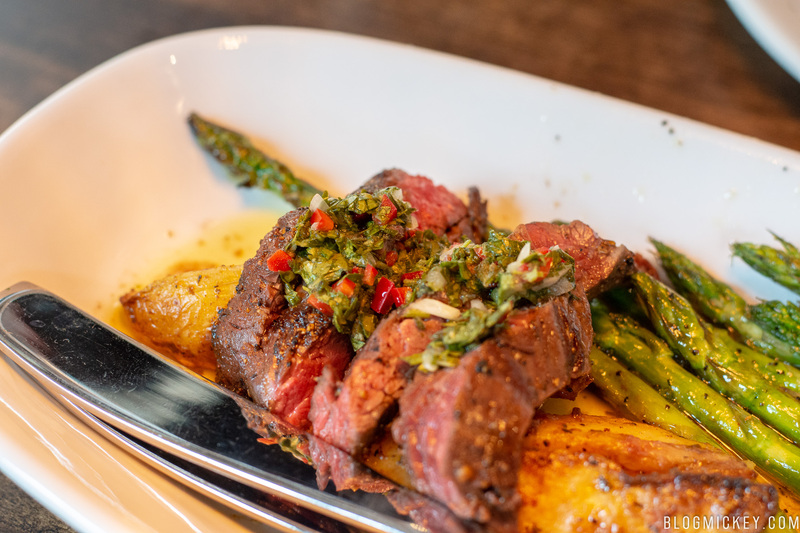 Ranging in price from $7 to $59, you are able to come in for a quick bite, or make it a full meal. 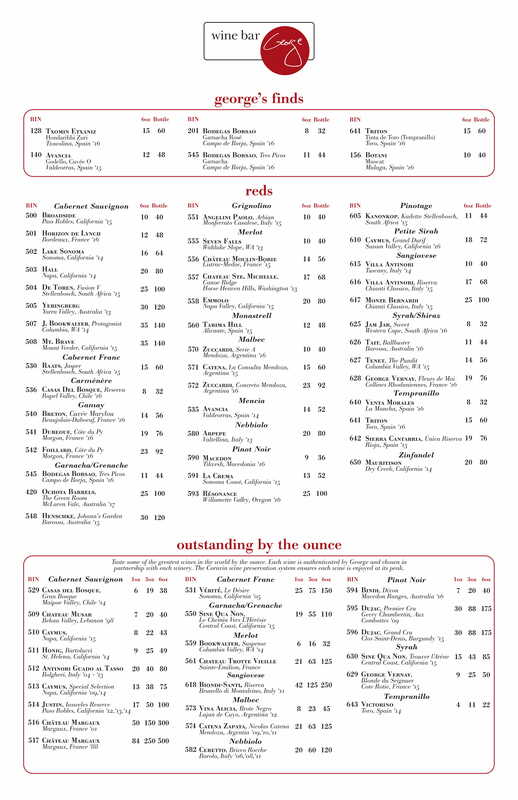 Here’s what we ordered. At $9, this was the cheapest item we ordered, and it really delivered. 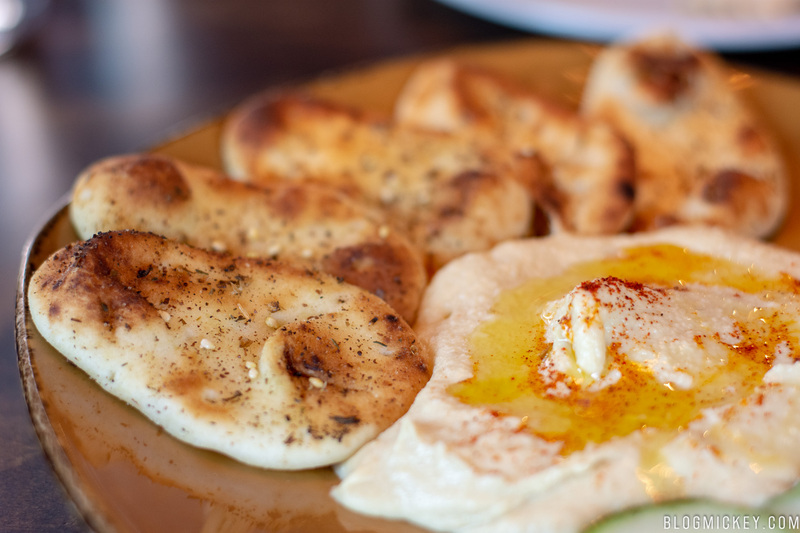 Served as a portion big enough for 2 or more, the humus itself was very creamy, but held it’s structure. The chipotle was mild and didn’t overwhelm with spice in the slightest. It acted more as a compliment to the hummus than a main flavor. 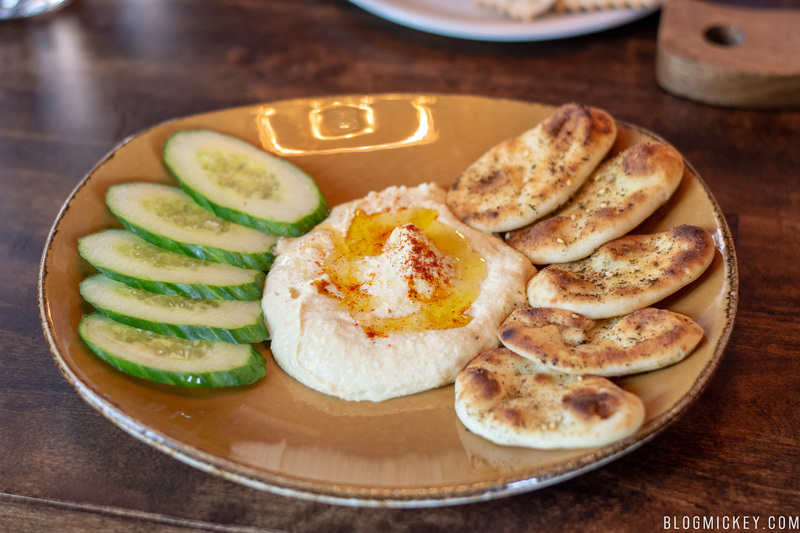 As fans of the naan bread at Sanaa, we were pleasantly surprised at the flavor and perfectly soft texture of the naan bread found with this dish. 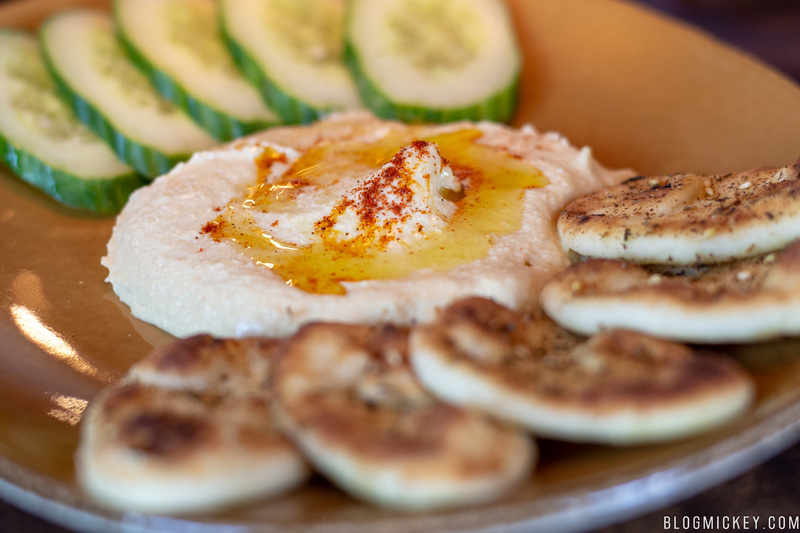 Fans of hummus will enjoy this plate. 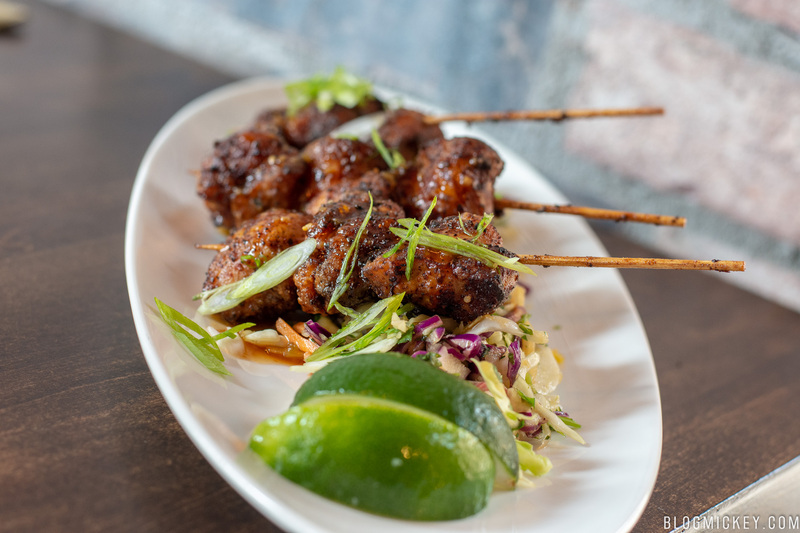 As you’ll soon find out, there really wasn’t a dish that we tried that missed, including the Chicken Skewers. 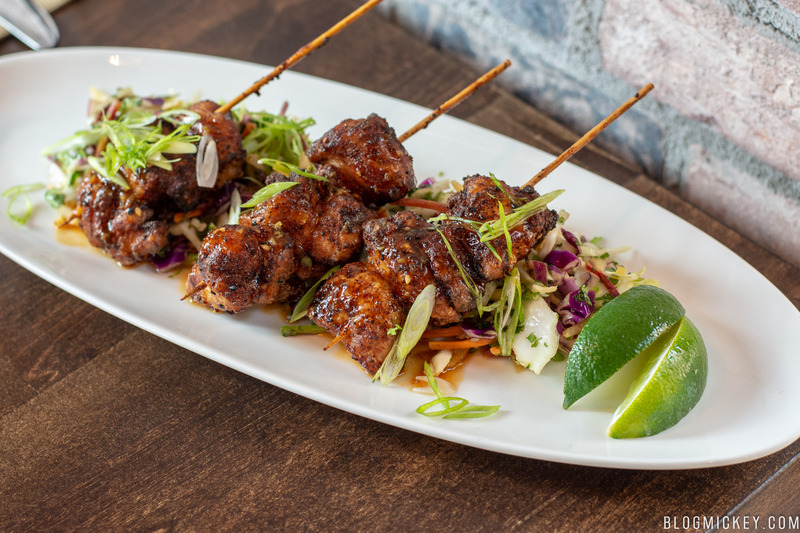 These Asian-style skewers came with a slight kick from the flavoring. The glaze was sweet and savory. The chicken itself was perfectly cooked, almost coming out a bit bouncy instead of the dry tough texture found in some dishes around property. 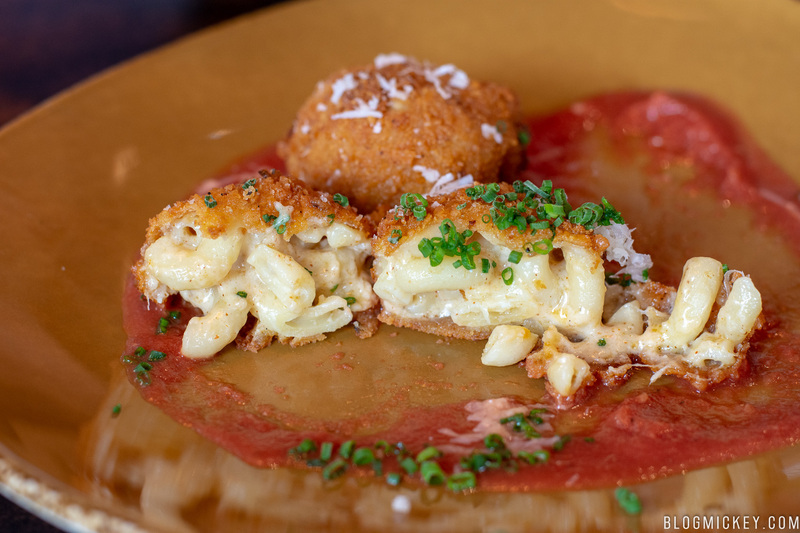 If you don’t know already, our favorite Mac & Cheese at Walt Disney World can be found a few steps away at Chef Art Smith’s Homecomin’. That said, these Crispy Mac & Cheese Bites make a strong case. 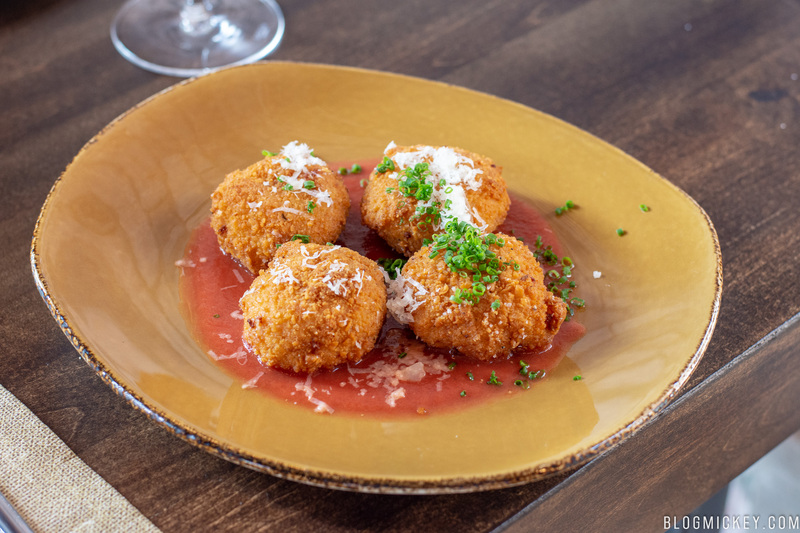 Four three-bite mac & cheese balls come served over a tomato nage. 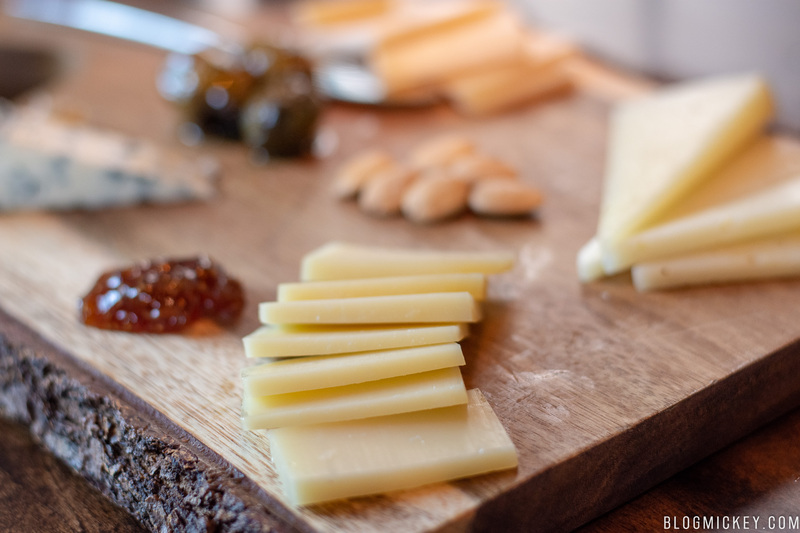 Shaved pecorino cheese sits atop in case you can’t get enough cheese. The exterior is crunchy, but forgiving. Much like a fried mozzarella stick would be. Inside, the mac and cheese noodles are soft and the cheese is creamy. To round out the flavor, there is a bit of a spicy kick in each bite. We’d like to see the price drop a few dollars to really give this dish a full recommendation. The winner of the “small plates” was the Porchetta Spiced Pork Cheeks. 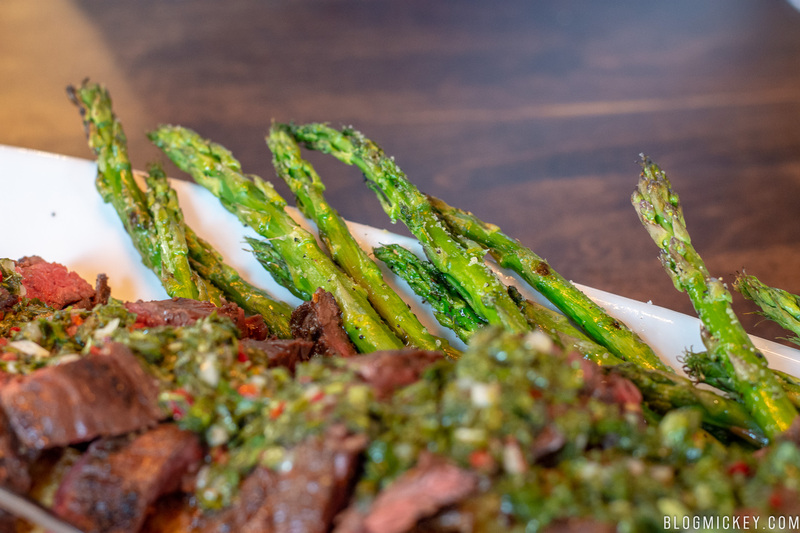 With a variety of flavors and soft meat, this dish is our most recommended for meat lovers. A bit unassuming at first glance, the dish presents nicely with the first “cut” of the spoon. 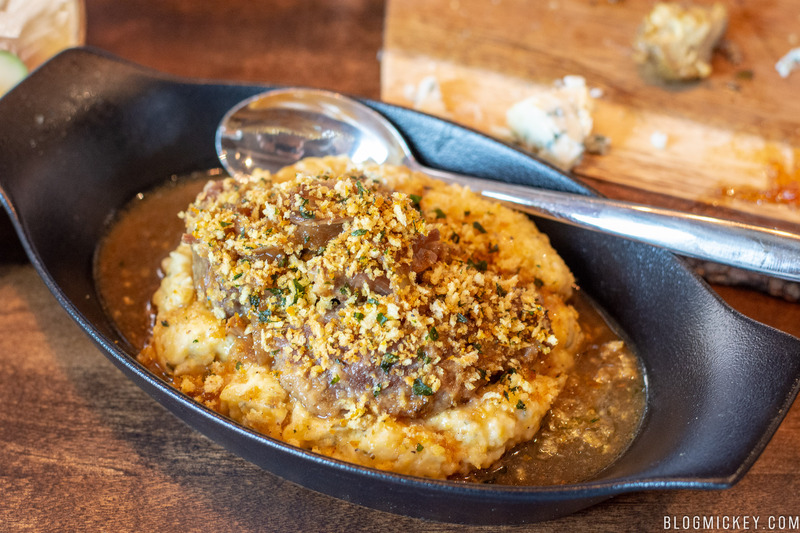 The meat is so soft you can leave your knives on the table and use the spoon to serve yourself. 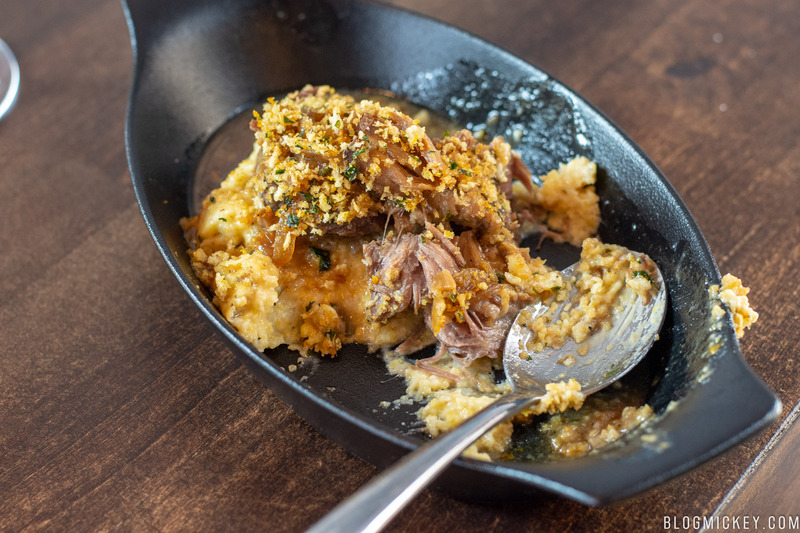 The meat melts away with each scoop and is not only perfectly cooked, but as a bit of an orange flavor profile thanks to the gremolata. We’ll definitely be ordering this again. 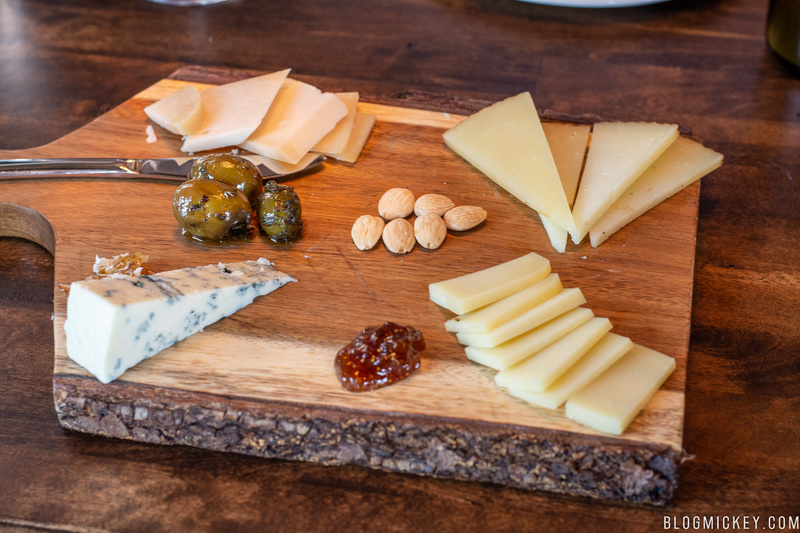 We decided to give the artisanal cheese board a try to see how it stacks up against the rising prevalence of cheese boards throughout property. 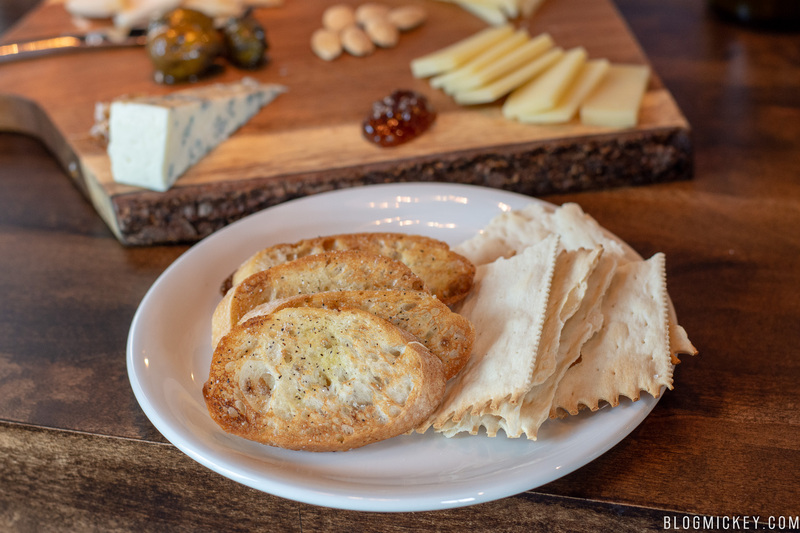 The menu states that a “Chef’s selection” will find its way onto the board, and that meant blue cheese, manchego, prairie breeze cheddar, and midnight moon for us. 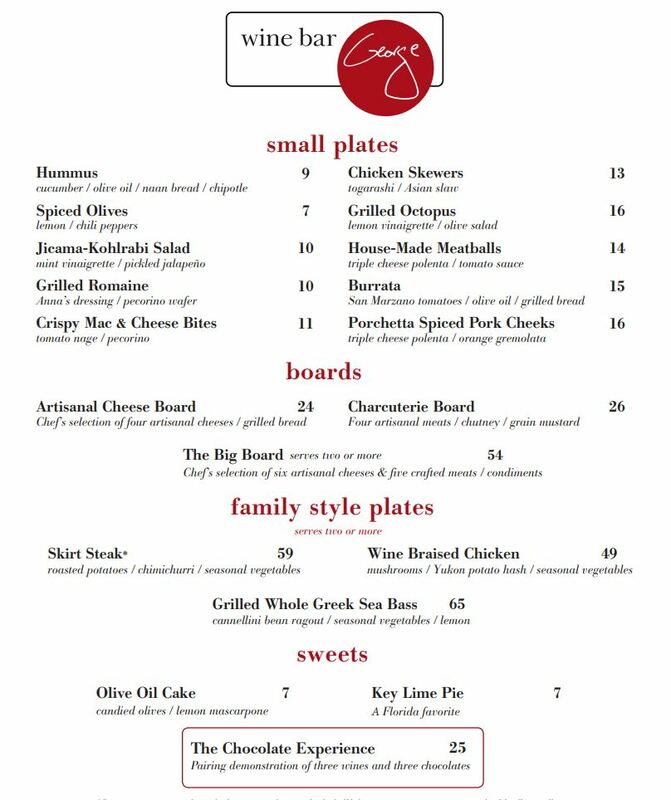 Due to the nature of the “Chef’s selection”, we won’t review the entire lineup of “seasonal” cheeses, but at $24 we have a hard time recommending this over a much more diverse offering at BaseLine Tap House in Disney’s Hollywood Studios. That said, the plate itself is wonderful and the extras offered such as honey, fig, olives, and nuts did compliment the cheeses nicely. Our main course for the evening was the Skirt Steak family style plate. 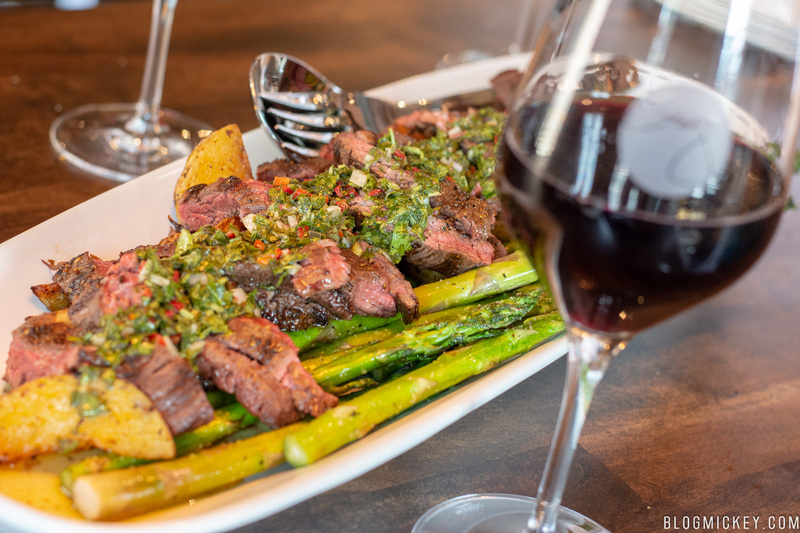 Recommended for two or more, the skirt steak is combined of two 8oz cuts of steak, for 16oz of pre-cooked weight. If you skip the small plates this is probably a dish for two people, if you combine this with some small plates it becomes a dish that can satisfy four. The steak itself came out somewhere between medium and medium rare, and we were not presented the option to change it. Personally, I think that the Chef cooked the meats wonderfully and would recommend you stick with the Chef’s choice, but I’m sure it can be customized if you’d like. The seasonal vegetable was asparagus and it came out nicely firm with a dusting of salt. 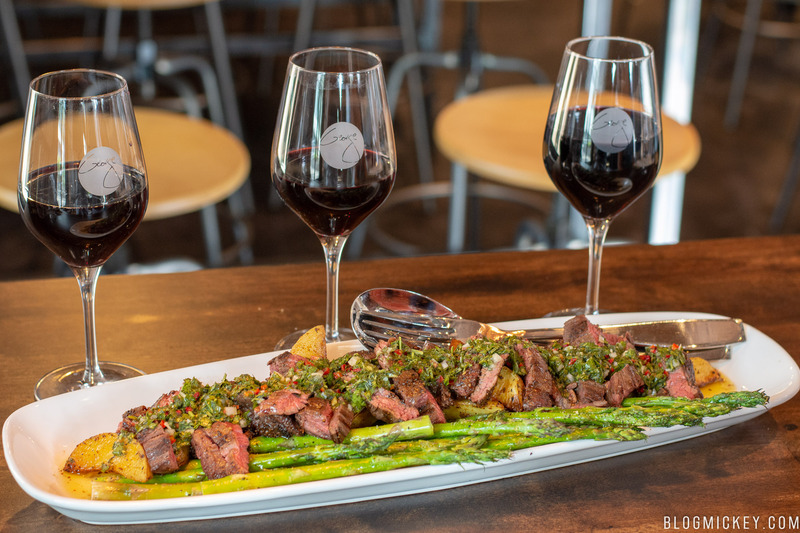 The whole plate sat on a layer of olive oil, which also found its way onto the asparagus, delivering a tasty version of the vegetable. 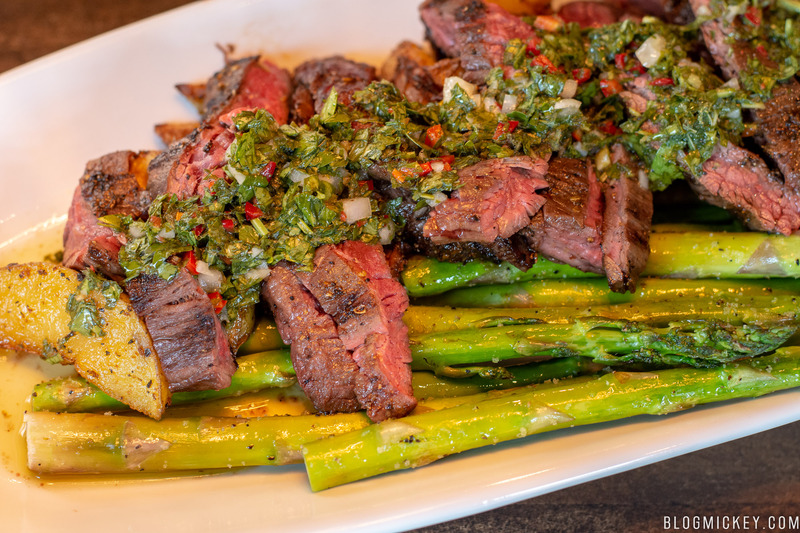 The steak was very nicely complimented by a chimichurri that provided a bit of a kick thanks to some chopped peppers. Diced onions and black pepper rounded out the dish. 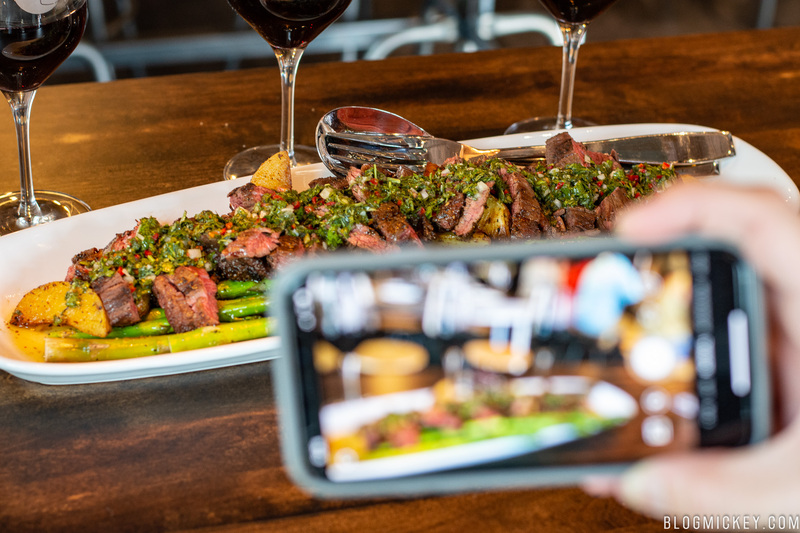 For a family style entree, you really can’t ask for a better prepared dish that is equal parts delicious and photogenic. 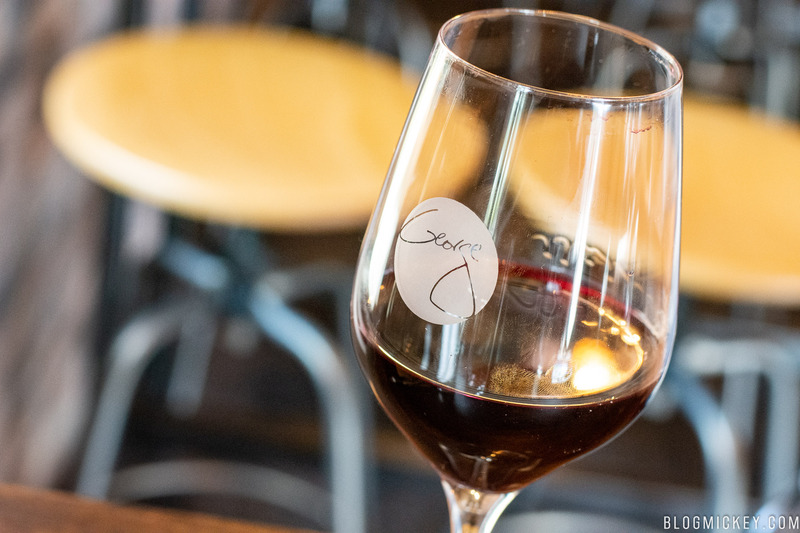 Rounding out our first visit to Wine Bar George was The Chocolate Experience. 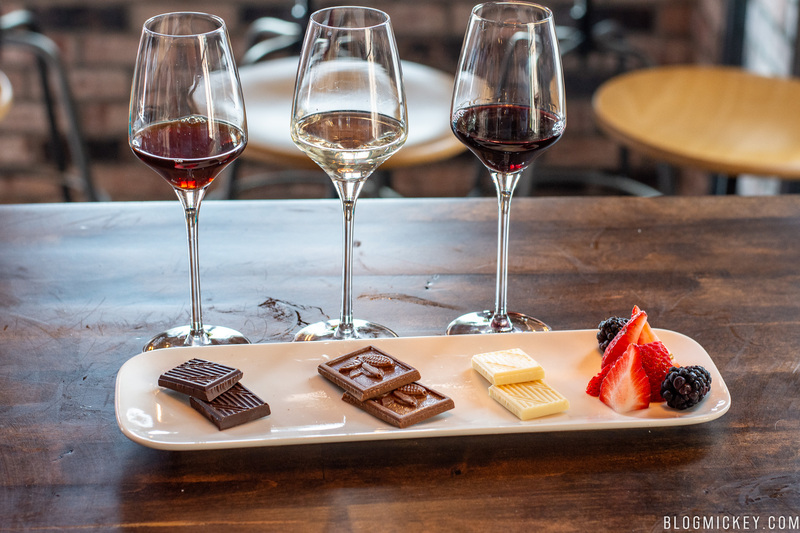 Three chocolates and three wines will find their way to your table as your server really turns dessert into an experience. Sight: Inspect the chocolate for any bubbling. A bubble-free chocolate ensures that not only was the bake correctly performed, but the mixture was just right. Touch: The chocolate should feel smooth to the touch. Sound: A crisp snap should be heard when breaking the chocolate. A crisp snap means that there was no wax filler added. Smell: A rich, chocolatey smell should prevail, although subtleties will be noted in each of the three different chocolates. Taste: To ensure the most vibrant taste, place the chocolate on the tip of your tongue, where your taste buds for “sweet” are. 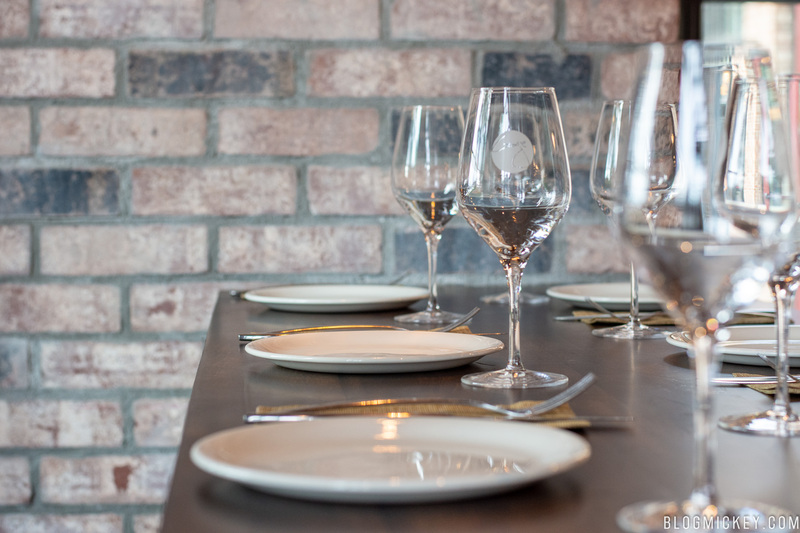 According to our server, each of the wines would work equally with each of the chocolates. The wines were: Seven Falls Merlot, Muscat dessert wine, and a Mas Amiel port-style wine from France. 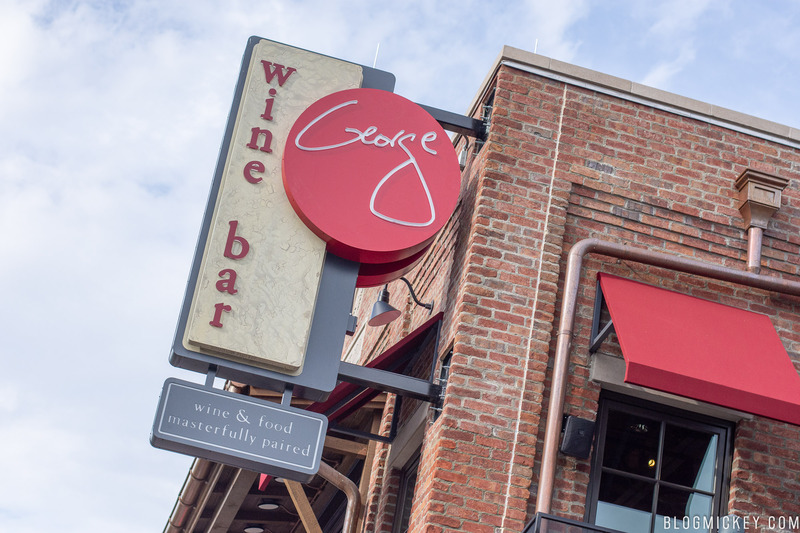 Overall, Wine Bar George exceeded our expectations. 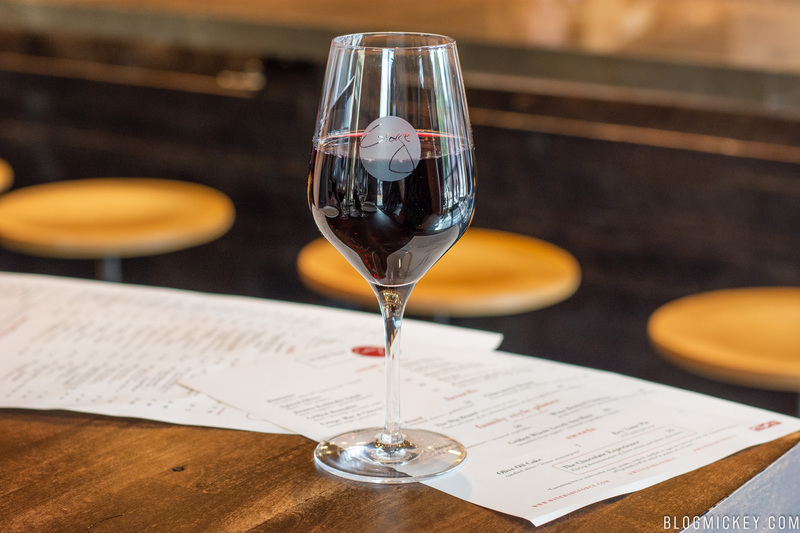 They deliver on the promise of “Wine & Food. Masterfully Paired”. 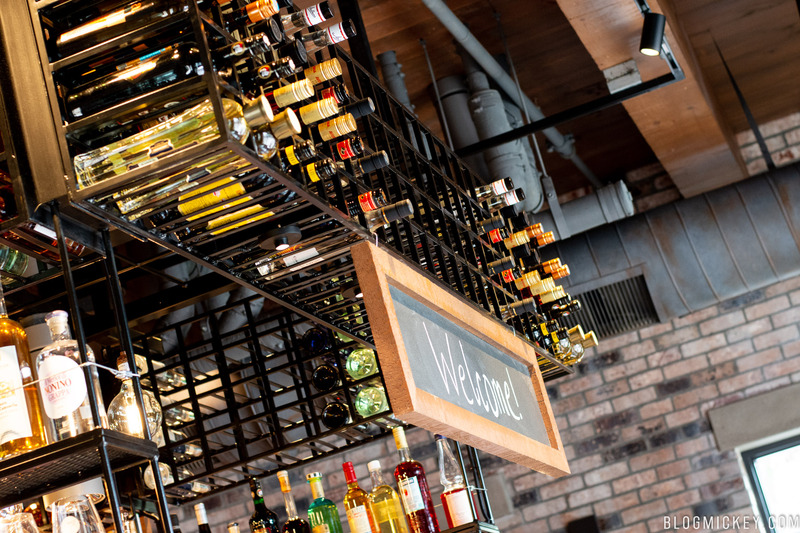 The quality of their food offerings is exceptional and their wine list is extensive. 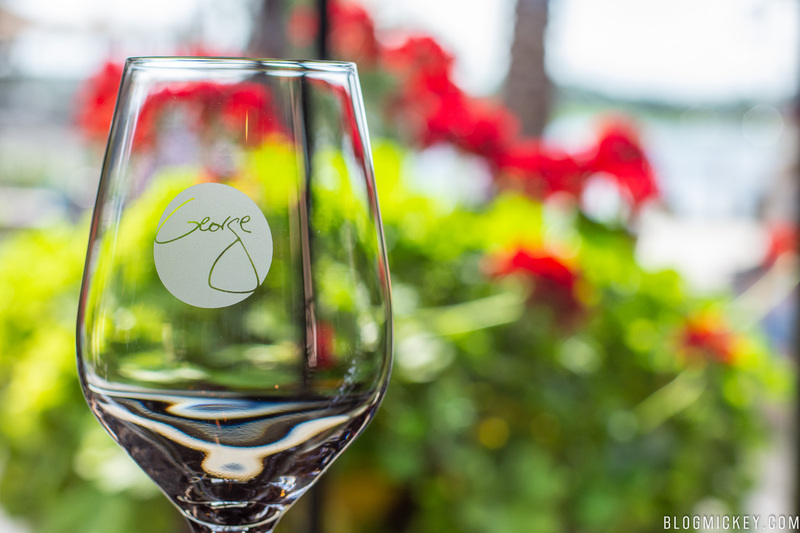 It’s easy for a restaurant to get lost in the shuffle of all of the offerings in Disney Springs, but I think that Wine Bar George should make your shortlist.